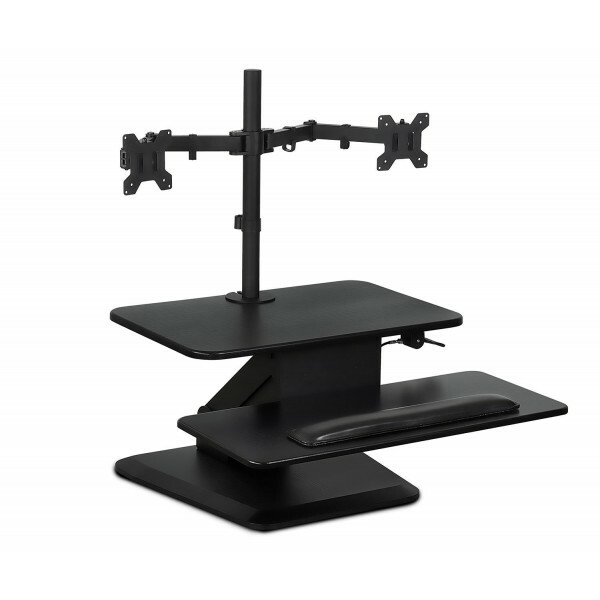 SIT-STAND DESK CONVERTER - The health problems associated with sitting all day is well-known. You don't need to spend over $500 to buy a brand new standing desk to be healthier. This converter works with your existing desk to transition to standing at the office. 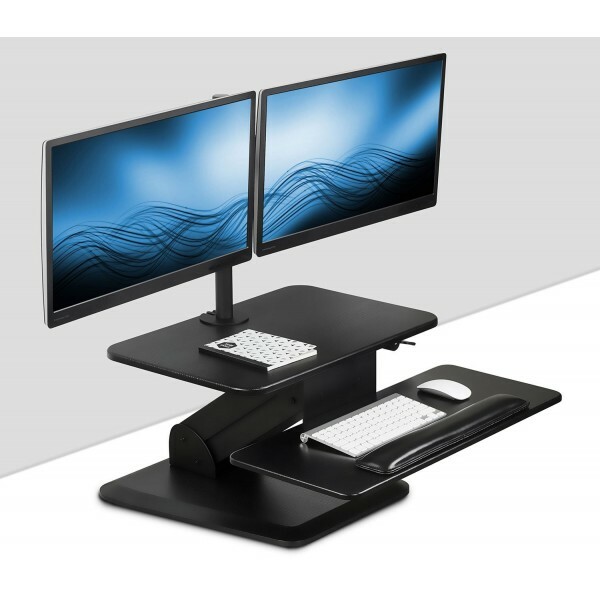 STANDING WORKSTATION - Move effortlessly from sitting to standing in seconds with the help of the gas spring mechanism. Height adjusts between 6.5 to 18 inches from the desktop. BONUS DUAL MONITOR MOUNT - Most sit stand converter buyers end up buying a monitor mount also. We included a full motion dual monitor stand to save you from the headache of searching for a compatible model. DESKTOP SPACE - 16 x 23.5 inch top platform and 12x27 inch keyboard platform provide ample space for laptops, keyboard, mouse and other office essentials. ERGONOMIC DESIGN - Soft wrist pad provides a comfortable place to rest wrists to help prevent carpal tunnel syndrome and repetitive stress injuries. 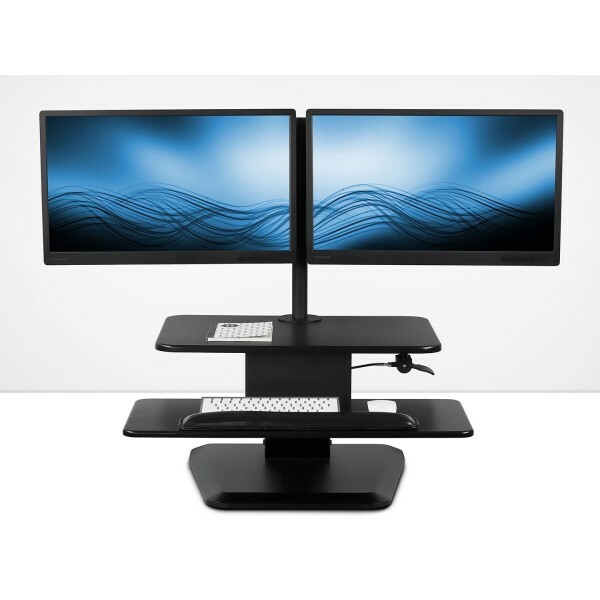 Elitech Aluminum Alloy Dual Monitor Stand, Articulating Arm , Double Arms Fully Adjustable, Free Standing Table Desk LED or LCD Mount for up to 27" Screens, Broader Base, Black.